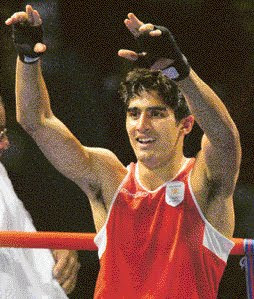 Vijender Singh - who won bronze in Beijing Olympics has been selected for the Padma Shri awards. Vijender, who is leaving for exhibition bouts in China, said he expected the honour earlier but had no issues with it coming late. While talking about getting one of top national honor he said "Better late than never. Every time I go out for a tour, I get a good news. I got a call this morning from the Ministry and told my parents and coaches about it," he said. "I'm happy and would celebrate when I return from China," added the Haryana boxer.